Laptop Thoughts: Not Enough Tablets to Choose From? Don't Worry, Here Come More from Intel! Not Enough Tablets to Choose From? Don't Worry, Here Come More from Intel! "For all its processing might, Intel is a non-player in the booming tablet space. Consumers, no longer trapped in the WinTel PC juggernaut, are increasingly opting for devices running software experiences optimized for more power efficient ARM processors. Intel hopes to break back into the market it once dominated with the release of "more than ten new tablets" at Computex later this month." 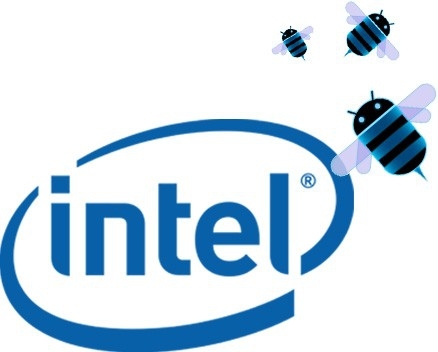 The tablet world is exploding and Intel wants in on the action! Back in Pocket PC days Intel used to make StrongARM mobile processors (actually bought it from DEC) and then replaced that line with the XScale line. Of course there were the Tablet PCs as well. Really though, Intel don't have a lot of experience with low-power high-performance processors, especially when it comes to graphics and everything being done with mobile devices now. Who knows, Intel may come up with just the right CPU for your tablet needs. Intel expects to have their chipsets (probably including an Intel CPU) in more than 35 tablets shipping by the end of the year - that's crazy! I love all the shapes and sizes of tablets available and, as always, I'm glad to see more competition entering the market. What do you think? Will you hold out for a tablet with an Intel inside?